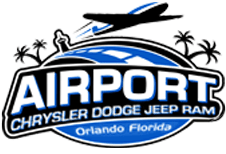 The 2020 Jeep Gladiator is back in Orlando, Florida and it never backs down. 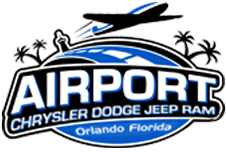 If you're ready for the air to hit your face as you explore your favorite cities, visit Airport CDJR to explore Jeep's new truck. The Gladiator is emerging with updated towing and payload capabilities that rank it amongst competing truck models. Jeep's pickup can take on different types of terrain without any issue. There's plenty of room for friends and essentials inside the Gladiator as well, making it the perfect model for vehicle owners with versatile needs. Choose the new 2020 Gladiator and stand all against tough jobs. Contact our dealership now and learn more about the Gladiator's new lineup with premium features. Jeep designed a new Gladiator that has no problem towing big loads. If you're looking for a cross-country excursion and want to bring your boat, camper, or ATVs, this is the perfect truck to help you do it. The Gladiator offers a maximum payload of 1,600 pounds. The updated 2020 Jeep Gladiator brings 4x4 capabilities right to your driveway. You can optimize your driving experience with available off-road gear such as the lockable wide track axles and the electronic disconnecting front sway bar. The 2020 Gladiator also offers available 33-inch all-terrain tires and an available industry-exclusive front facing TrailCam off-road camera. All of the above features, both standard and available, work together to help you navigate off-road obstacles like the champion that you are. Thanks to the 2020 Jeep Gladiator, drivers can enjoy an exciting exterior and an impressive interior. Like all of its siblings in the Jeep lineup, the 2020 Jeep Gladiator offers tons of connective options such as the 8.4-inch touch screen display, which makes it easy for passengers to access their favorite applications. Drivers can utilize the benefits that come with Uconnect 4C NAV, which entails both Apple and Android smartphone integration. There's even an industry-exclusive removable Bluetooth wireless speaker, which will keep you entertained even when you leave the comfort of your Gladiator. If you're ready to see the new design of the Gladiator, you're not alone. Visit our dealership to explore the different trim levels available inside Jeep's new Jeep vehicle. See what our current lineup has to offer you. We have tons of financing options available as well, so be sure to check out our finance department online before arriving! We look forward to showing you what the 2020 Gladiator Sport, Sport S, Overland, and Rubicon, can do. *Based on FCA US LLC Midsize 4x4 Crew Cab Segment. When properly equipped. See dealer for details.